Ferrero have perfectly adapted their approach in marketing to Asian customers by creating this custom POS display. It is both innovative and appealing, but also directly related to the Chinese tradition. Although Ferrero Rocher isn’t a product associated with the Chinese New Year, chocolates are commonly bought as a gift. 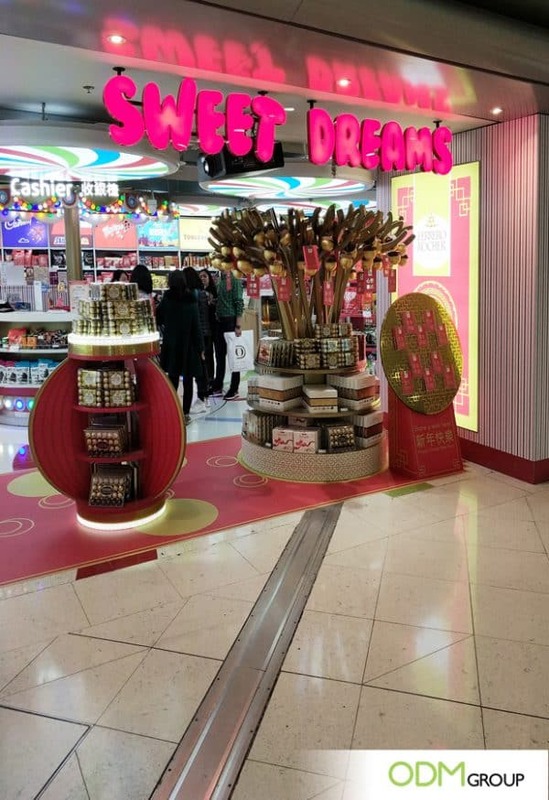 The company took advantage of the locally famous tangerine trees and replaced the fruits with their own product and some famous gift envelopes, called money pockets in China. 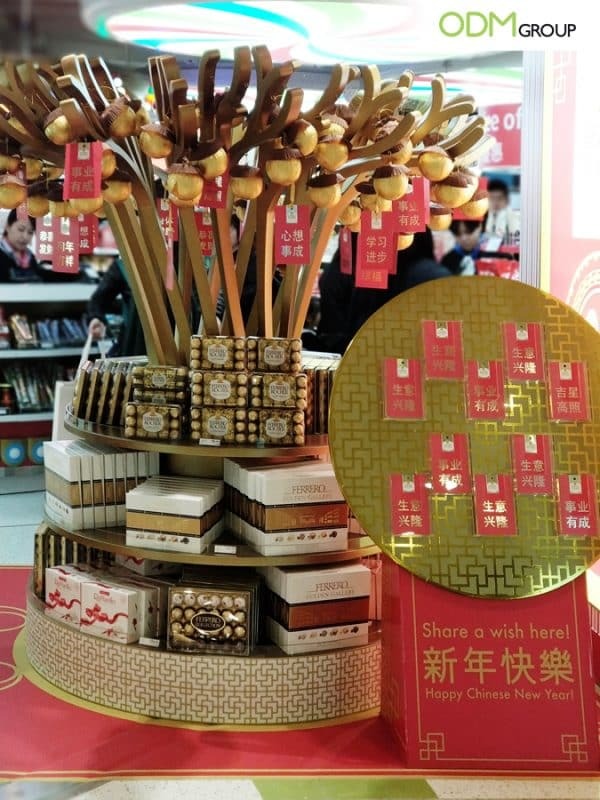 This is an exciting way of promotion, since it captions the essentials of the CNY decoration and incorporates them in Ferrero’s own product. Why do we believe in the effectiveness of this custom POS Display? Right product, right time – by highlighting their products in specific dates, Ferrero associates itself with that time of the year. In this case, people feel even more compelled to offer this kind of product to each other due to the incorporation of the CNY spirit. Brand awareness – high levels of customization often lead to more visibility to the final customer. With a completely new and different approach, companies are able to be visible to new costumers. 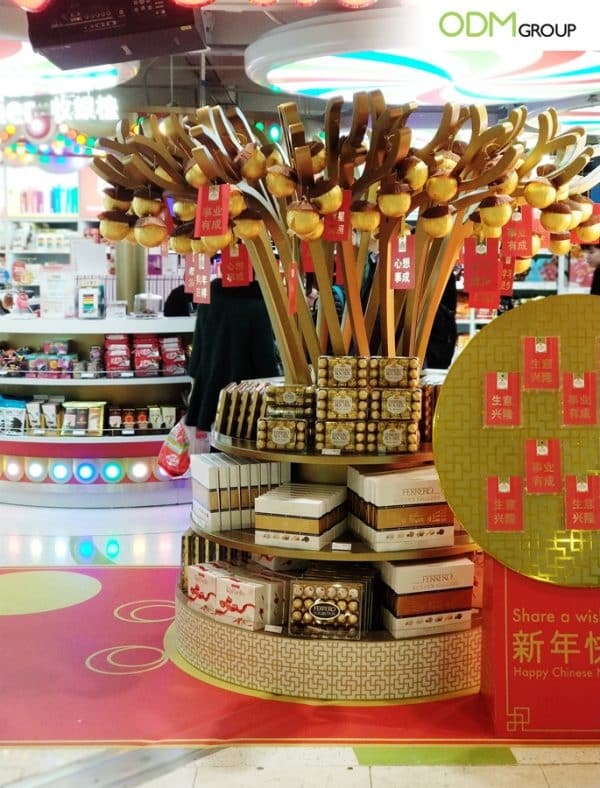 Clear message – with the association of CNY elements with the product itself, Ferrero manages to transmit to the the costumers that their product is the right one for this time of the year. We also suggest custom packaging as a great marketing tool, which can also boost the effect of custom in-store display. Our talented and experienced design crew at Mindsparkz will definitely be able to meet both branding requirements and business goals.